The vernacular structure was constructed in 1942 and originally consisted of only 266 square feet. It was built by Joe Restas, a coal miner born in Bota, Hungary. He worked in both the Centennial and Monarch mines. Only two more weeks left to grab delicious locally grown produce, flowers, meats, cheeeses, eggs and an assortment of home-made delicacies and crafts. Say goodbye for the season to our favorite vendors with a trip to the market on Front Street. And the Pottery Wheel Keeps Turning... Happy 20th Anniversary Mudslingers! 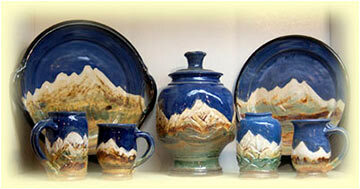 In the Fall of 1997, Louisville potter and community arts activist, John Hansen, along with several of his students opened Mudslingers Pottery Studio in the downstairs of 820 Main St. Twenty years and thousands of students and pottery sales later, Mudslingers Pottery School and Gallery continues to be a downtown fixture and destination for the Denver metro area. John’s innovative pottery designs and teaching methods have been recognized nationally. Located in the former Joes Italian Market, downstairs from “By Chance,” Mudslingers offers adult and children’s pottery classes, lessons, studio access and fine stoneware pottery. In celebration of their 20 years as a Louisville staple, John will offer free pottery making demonstrations Fridays and Saturdays, from noon to 1:00 pm throughout the Fall. The open studio event will feature free pottery, mini lessons, and surprises. Come celebrate a local underground gem still potting after all these years! 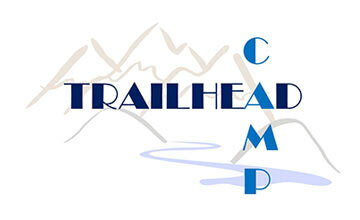 Trailhead Wealth Management invites you to Trailhead CAMP! CAMP is their Client Appreciation & Mission Program, designed to bring guests opportunities to further their knowledge of timely and interesting topics. 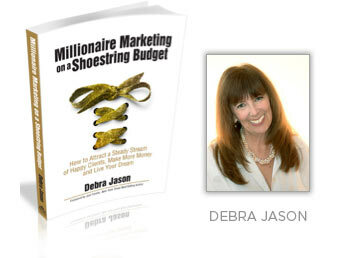 This year, they will be featuring eight speakers on a variety of wealth management subjects. For more information contact Sarah Giammaria, sarah@trailheadwm.com or visit the website at www.trailheadwm.com to learn more and register for the event! Investment products and services are offered through Wells Fargo Advisors Financial Network, LLC (WFAFN), Member SIPC. Trailhead Wealth Management, LLC is a separate entity from WFAFN. 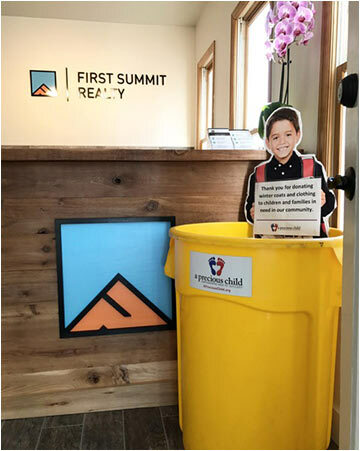 First Summit Realty is partnering with A Precious Child to host a winter clothing drive through the month of October to support disadvantaged and displaced children in Colorado. First Summit will be serving up sweet treats as a thank you for anyone who drops off a donation of warm winter clothes. So stop by the office and help support a great cause! To learn more about A Precious Child, please visit www.apreciouschild.org. Not only will you get a great made-from-scratch lunch menu using natural and local ingredients, but tons of sports to watch on the seven TV’s upstairs! Enjoy handcrafted cocktails, and a fine selection of great beer and wine. From Knitting for Well-Being: The Psychological and Social Benefits of Hand Knitting by Corkhill, Maddox, Hemming and Riley. Textile, Volume 12, Issue 1, 2014 Bloomsbury Publishing. Learn how to create a yoga practice with your family for those moments when you all need some TLC. Class includes beneficial poses for adults and kids to do together, games and playful activities to keep kids engaged, as well as restorative ways to balance the practice you need to get with your child’s need to be close to you. Come discover what learning yoga together can be like! Dona Laurita Gallery and Down Space is available to host events, holiday parties, meetings, small performances, and shows for artists. The gallery and art space specializes in photography, fine art, music, artist talks, readings, workshops, and whatever it takes to deepen the creative, thoughtful and beautiful things that life has to offer. They strive to continue to culturally connect with and support our vibrant community. Winner of the Metropolitan Opera’s 2017 Rocky Mountain Regional Auditions, Mezzo-Soprano Sarah Coit will share what it’s like to build a career singing opera. 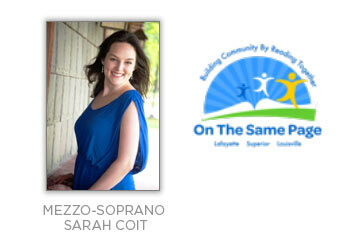 A recital by nationally-recognized mezzo Sarah Coit. This event is sponsored by the Louisville Cultural Council. This program is offered in partnership with the Louisville Chamber of Commerce. 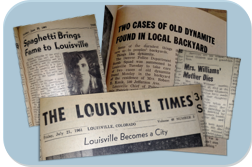 The Louisville Times from 1942 to 2007 is being digitized and is going online! Stop by the Library Meeting Room to help celebrate, enjoy refreshments courtesy of the Louisville History Foundation, and learn how to search this amazing new resource. Local author Kevin Purdy will read selections from his new novel The Legend of Decimus Croome: A Halloween Carol and answer questions about being a writer. Based on A Christmas Carol by Charles Dickens, the story is filled with ghosts, witches, scarecrows, shape-shifters and a precocious cat named Black Magic. Though the book is a great choice for upper elementary and middle school students, families are welcome to attend this event. Halloween candy will be served!